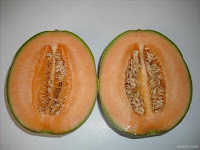 I’ve eaten a whole ripe cantaloupe to break a cold or flu as read in The Sunfood Diet Success System, a whole ripe pineapple which contains natural antibiotics to get rid of sore throat, celery/date smoothies to rid bronchitis, and whole garlic cloves to get rid of a bacterial infection. Garlic has antiviral and antibacterial properties. I love The 80/10/10 Diet for wellness.